Spongy metal sounds like a bit of an oxymoron, but it’s actually a real material that is capable of absorbing large impacts without damage. Metal foams have been around for some time, but new research by Dr. Afsaneh Rabiei of North Carolina State University, has revealed the strongest metal foam ever. It can compress up to 80% of its original size under loading and still retain its original shape. The applications for this type of material are too numerous to fathom, but one of the most anticipated uses for the spongy metal is in automobiles to lessen the impact of crashes and protect the driver and passengers. Calculations also predict that in car accidents, when two pieces of her composite metal foam are inserted “behind the bumper of a car traveling at 28 mph, the impact would feel the same to passengers as an impact traveling at only 5 mph.” Applications for this amazing material are numerous and life changing. 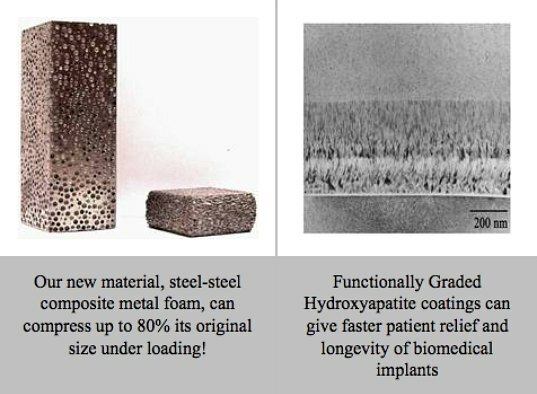 Naturally, this metal foam could be integrated into the bodies of cars to minimize the impact from crashes, but it could also be used for body armor or even in artificial limbs. It’s even foreseeable that the metal foam could be used in buildings and help absorb shocks from earthquakes. Sounds useful, though I'm thinking more of re-usable headgear for protection against traumatic brain injury. Other possibilities would include musical instrument cases - musos would be delighted with cases that could stand the deformations visited upon their beloved instruments by baggage handlers at airports - telescope mountings, aircraft undercarriages, high-speed train suspensions, etc. Have fun! Spongy metal sounds like a bit of an oxymoron, but it's actually a real material that is capable of absorbing large impacts without damage. 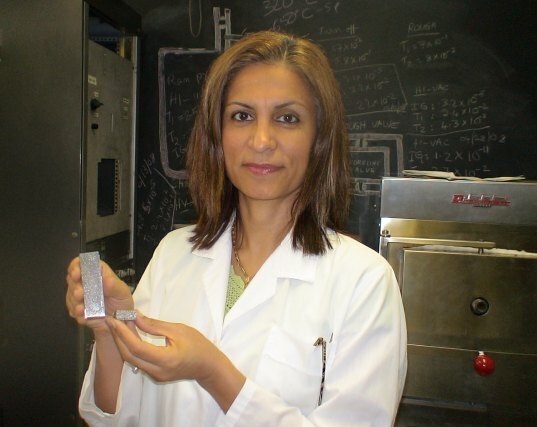 Metal foams have been around for some time, but new research by Dr. Afsaneh Rabiei of North Carolina State University, has revealed the strongest metal foam ever. It can compress up to 80% of its original size under loading and still retain its original shape. The applications for this type of material are too numerous to fathom, but one of the most anticipated uses for the spongy metal is in automobiles to lessen the impact of crashes and protect the driver and passengers.